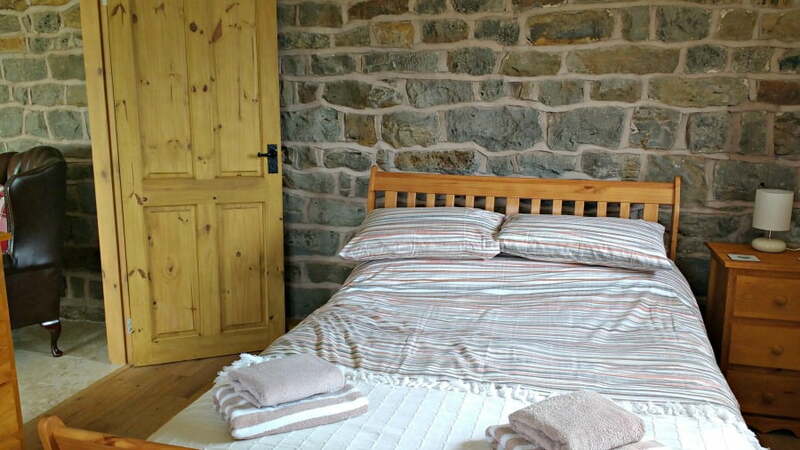 Upper Greenhills Farm is a charming 3 double bedroom barn conversion on the edge of the Peak District National Park. 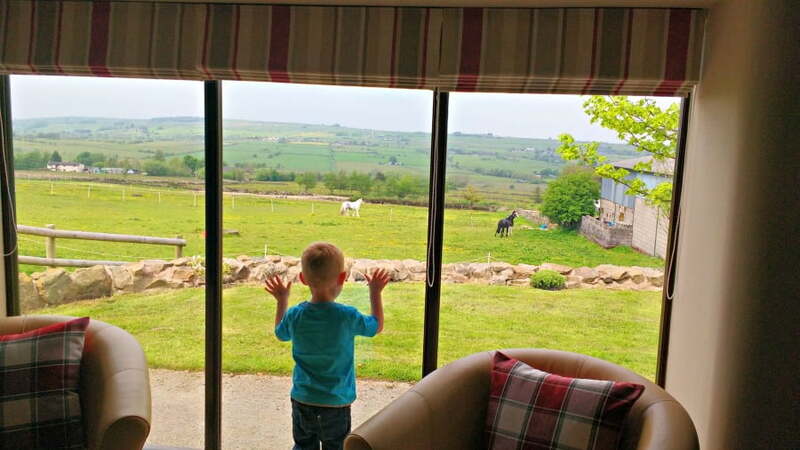 With panoramic views of the countryside, and 3 large bedrooms, this immaculate barn conversion is a great choice for families looking for a peaceful family friendly cottage in the Peak District. 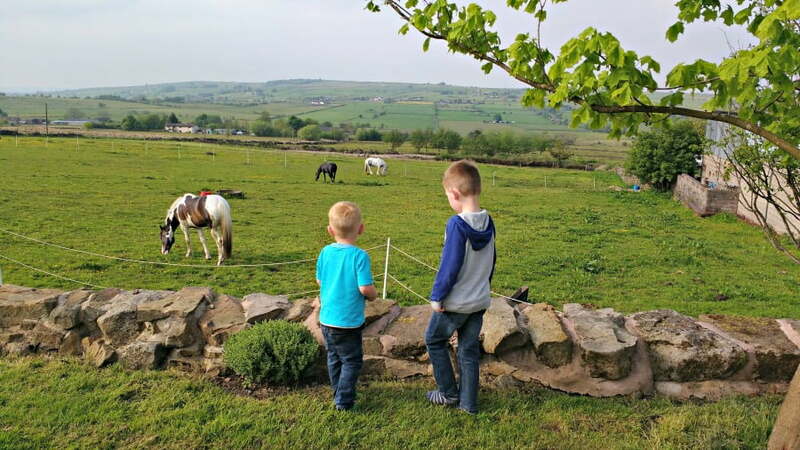 My family and I spent a week at Upper Greenhills Farm in May 2016, and this is what we thought. 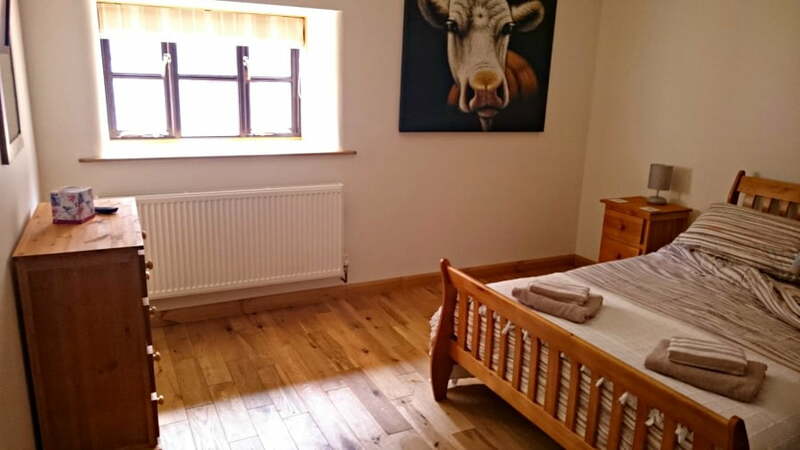 •	3 large double bedrooms – all large enough to comfortably fit a cot. •	1 bathroom with a bath and shower. 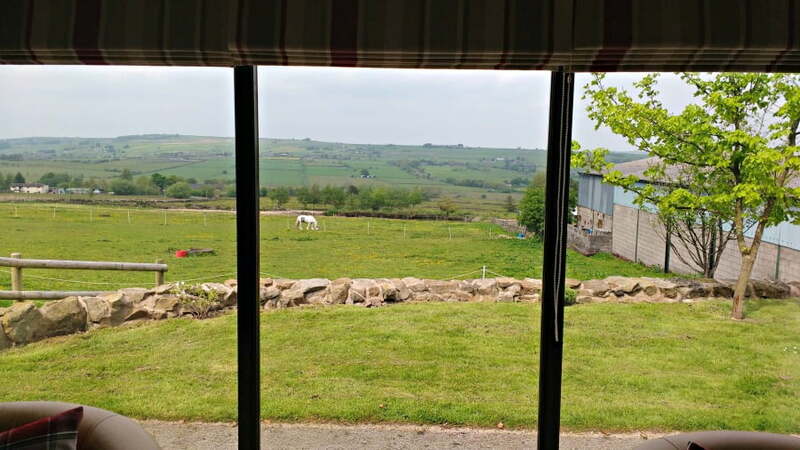 •	Floor to ceiling windows so you can fully appreciate the superb views of the surrounding countryside. •	Toy Box with teddy bears, books and games. •	10 minutes from CBeebies Land at Alton Towers and within easy reach of all the attractions of the Peak District National Park. This spacious one storey barn conversion has an open plan living area with a comfy seating area, flat screen TV, toy box and dining table. 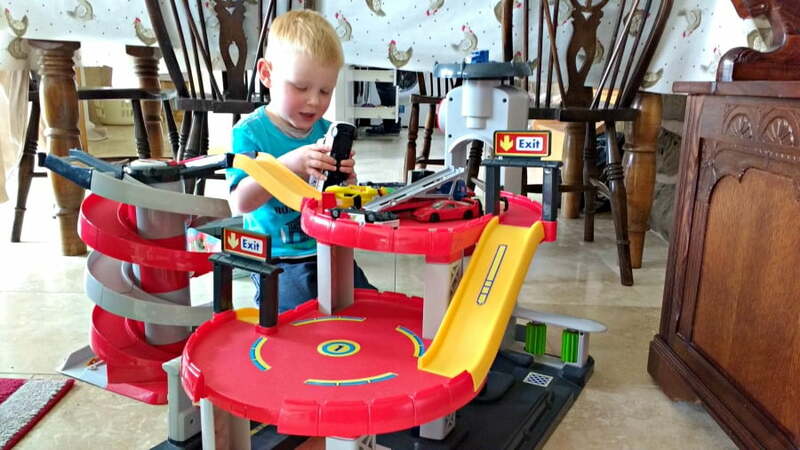 The owner was kind enough to bring a toy garage and box of cars round for my boys to play with on their holiday. There are floor to ceiling windows along one side of the cottage meaning that light floods in from dusk to dawn. The superb views of the lush green countryside helped us to relax, and wind down from our busy lives back home as soon as we arrived. The light was particularly resplendent in an evening when the sun was setting, and I loved watching sheep grazing in the distance, and tiny cars snaking their way along roads on the other side of the hill – and of course the horses in the field outside the cottage! The living area has kept some of the character from its previous incarnation as a barn – I loved the heavy wooden door which led into the cottage, and the impressive brick feature wall which stretched from the kitchen all the way into the living area. The kitchen is very well equipped and had everything we needed during our week long stay, including a microwave and washing machine. There is an additional chest freezer in addition to the freezer compartment in the fridge, which we found useful. Plastic plates, dishes and cups are provided. There is one bathroom at Upper Greenhills Farm which is located just off the main living area. There is a bath and shower – again, because the barn conversion has been newly completed everything is immaculate. There was a selection of toiletries (shampoo, shower gel etc) provided too. There are 3 bedrooms at Upper Greenhills Farm, and each one is a good size. There are 2 bedrooms with double beds and another one with 2 single beds – one of the bedrooms is just off the living area and the other 2 are accessible via 3 little steps. Each bedroom has plenty of storage in oak cupboards and drawers which complement the wooden floors. There are blinds in each of the bedroom, which manage to keep most of the light out so we didn’t use our blackout blinds. Upper Greenhills Farm is a working farm so there are loads of fields which you are able to run around in. There are plenty of horses wandering about too! 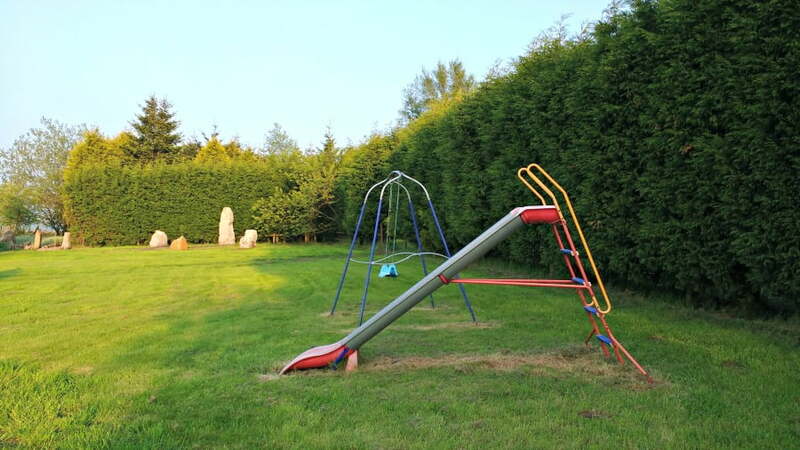 There is a large field with a slide and swing in too which little ones are free to use. There are some ponds in the grounds, which aren’t too close to the cottage but you do need to be aware of them and supervise little ones when they are outside. WIFI is available, but can be a little slow. There are unfenced off ponds available in the grounds but they aren’t too near to the cottage – toddlers will have to be supervised though. There are 2 friendly Labradors which live the main farmhouse. The friendly owner lives onsite, so is available in the unlikely event of any problems. We had a Tesco delivery to the cottage just after we arrived, which worked well as there aren’t any big shops nearby. 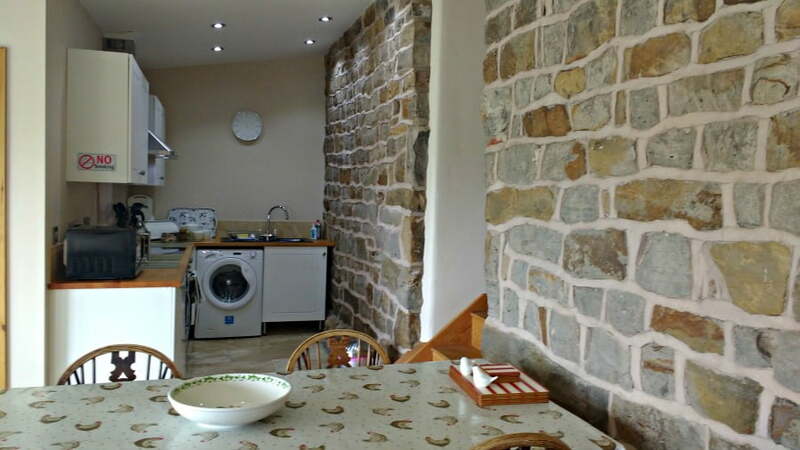 7 nights at Upper Greenhills Farm costs £575 in June. Short breaks are available. 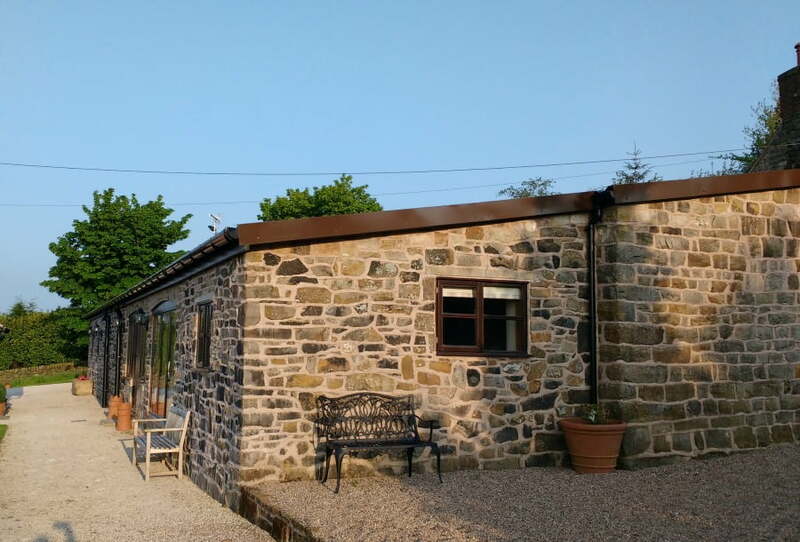 We arranged our visit via Sykes Cottages – click here to find out more information about Upper Greenhills Farm.